Karkloof Lion Sculpted By Martine Laporta. Martine Laporta majored in Sculpture at Michaelis School of Fine Art at UCT and graduated in 1987. 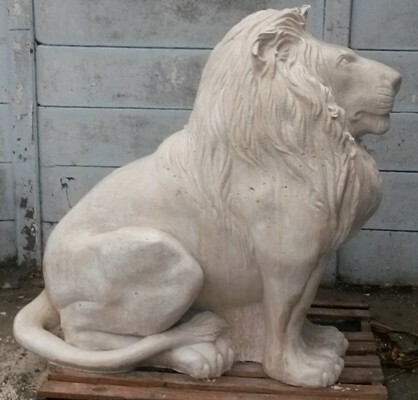 Sculptural projects are therefore undertaken at Stonecast when requested. We sculpt the prototype in a variety of suitable materials and then make a mould and only then is the final piece produced. 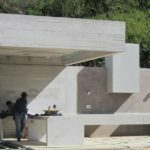 This process is obviously quite costly so all projects are quoted on initially. Obviously the larger the item the more materials involved and hence the more expensive. A showcase of Martine’s own sculptures can be seen in the photo gallery. 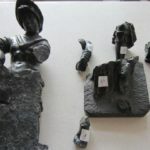 Stonecast works closely with other sculptors and designers in realising their art pieces , either by casting the pieces in concrete for them , or making the moulds for them and then casting .